Brief Description: Ista’s Surface Skimmer prevents dust and protein layer formation. This layer can filter the light that reaches the plant and gives an awful aspect to the aquarium. It effectively draws the dust and protein to the skimmer which assures a crystal clear water surface. This creates a healthier and safer environment, as it allows effective gas exchange and proper light for plants. 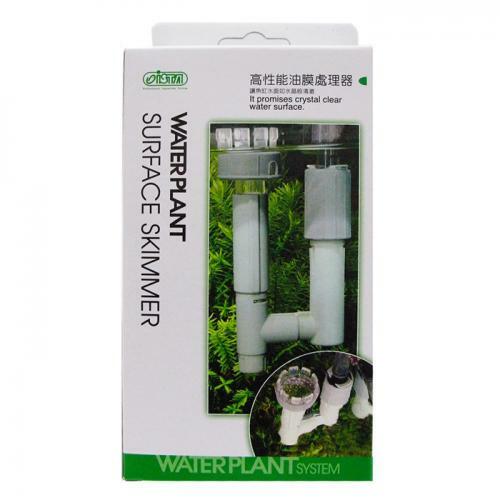 Notify me when "ISTA Water Plant Surface Skimmer" is re-stocked. 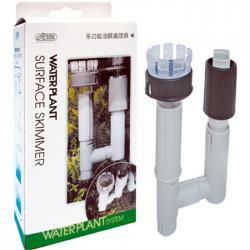 Allows surface water flow to get through from all directions without clogging. With self-floating water inlet chamber, it automatically adjusts itself with the change of water level. 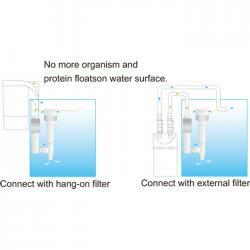 Works perfectly with hang on filters and other middle size filters.product!